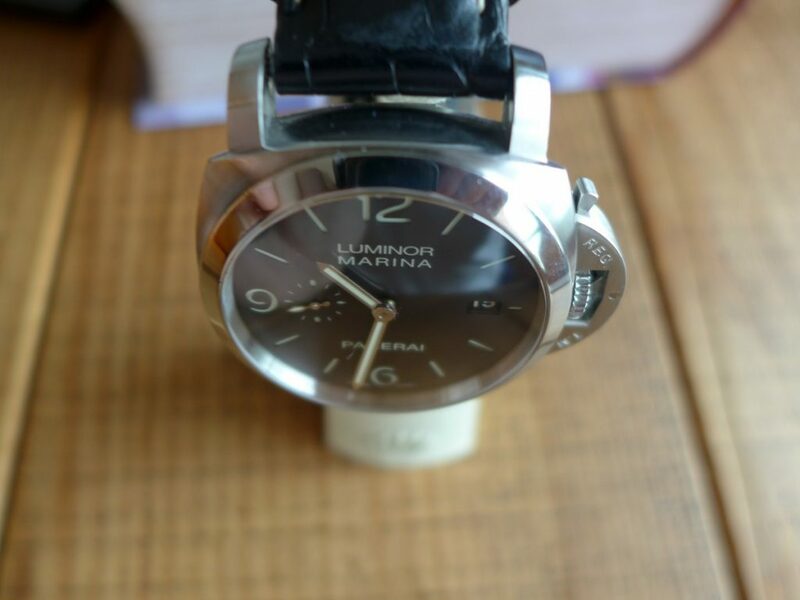 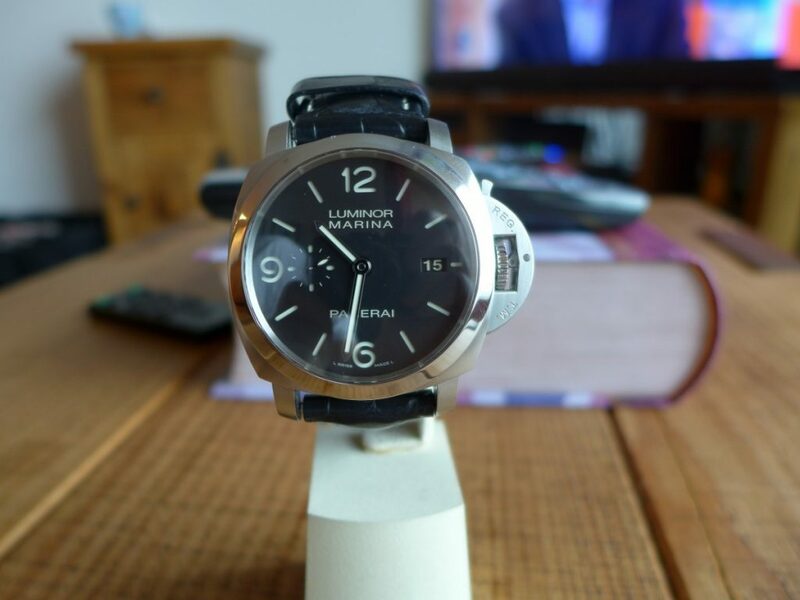 Hands on with the Panerai Luminor Marina 00312 1950 3 day, this was a watch I owned one of the best all round Panerai’s in my opinion. 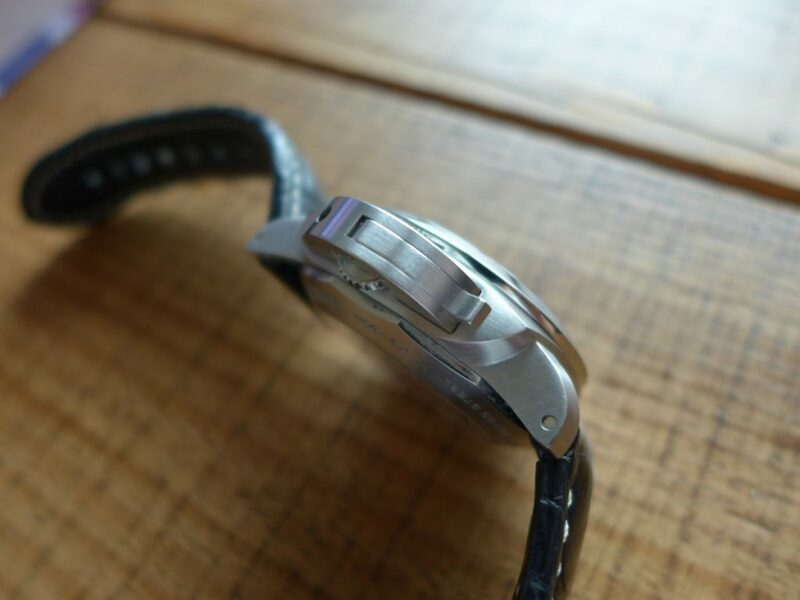 The 312 has 1950 case size 44m which looks far nicer than the older style case. 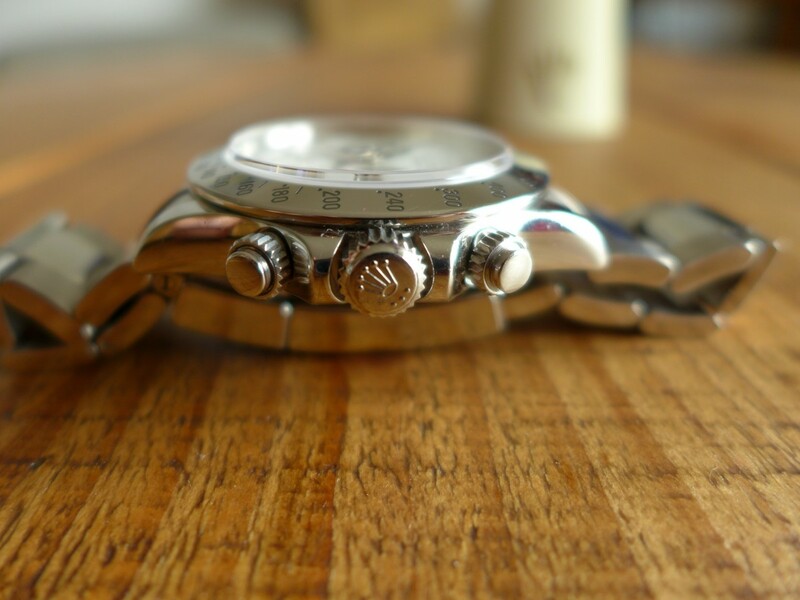 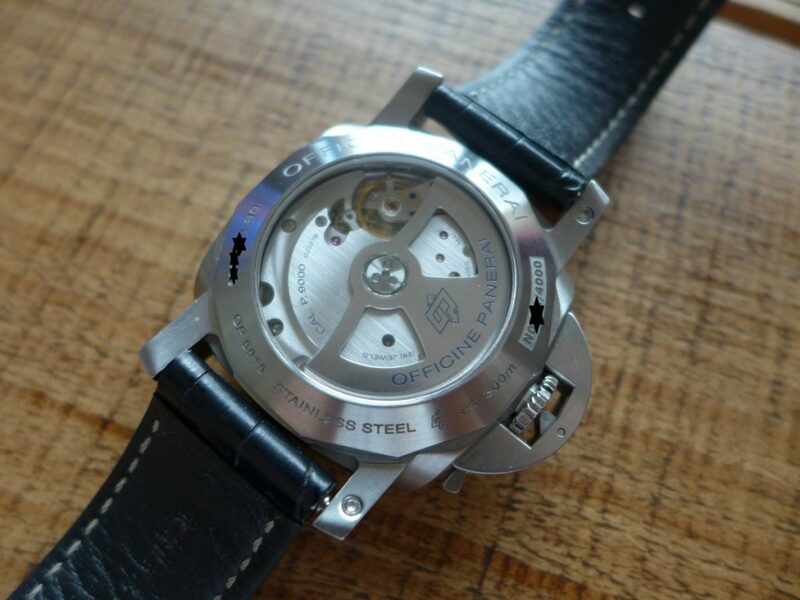 The watch houses the lovely p.9000 in-house movement with a see through caseback which is always a nice touch. 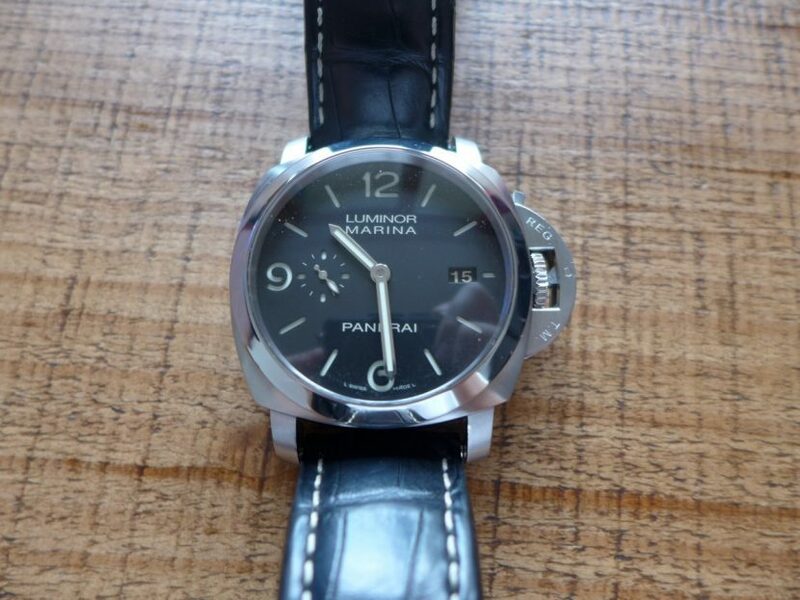 The finish works really well polished bezel with satin shoulders and sides, dial is a black matt finish with date window at 3 o clock with the infamous Panerai trademarked crown guard and has a slightly curved sapphire crystal. 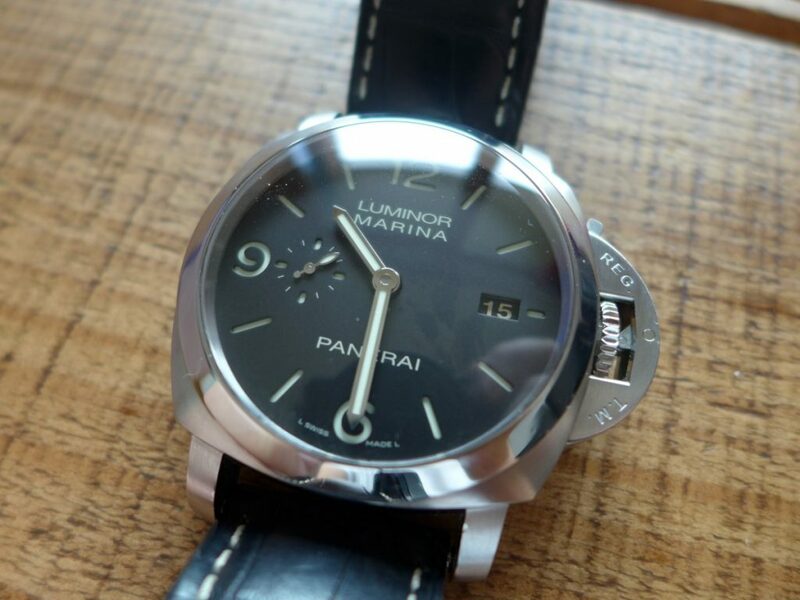 The lume on Panerai’s are fer-nominal they really not hard to see the time at night time its probably one of the best lumes you will get. 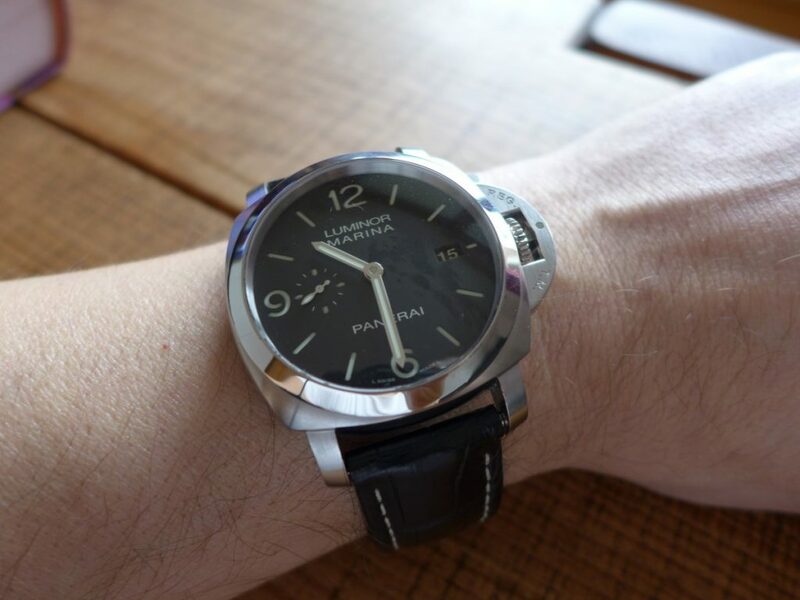 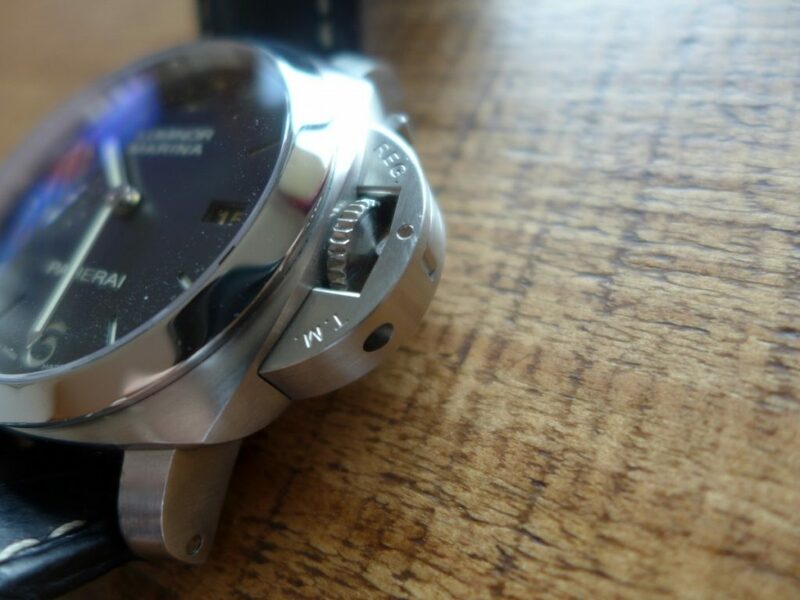 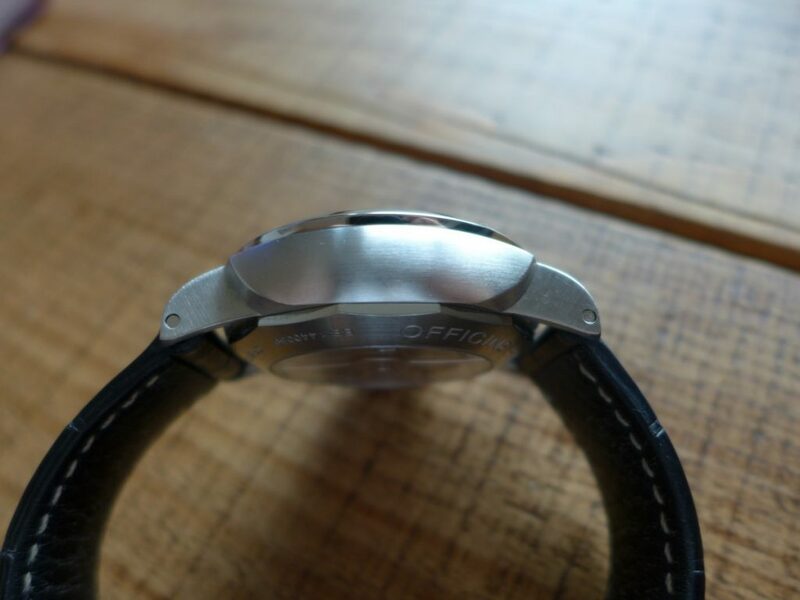 The 1950 case has the small button on the shoulders on the caseback side for easy strap change as Panerai have plenty of straps options for all occasions, I also thought it was so comfortable to wear everyday for a big watch. 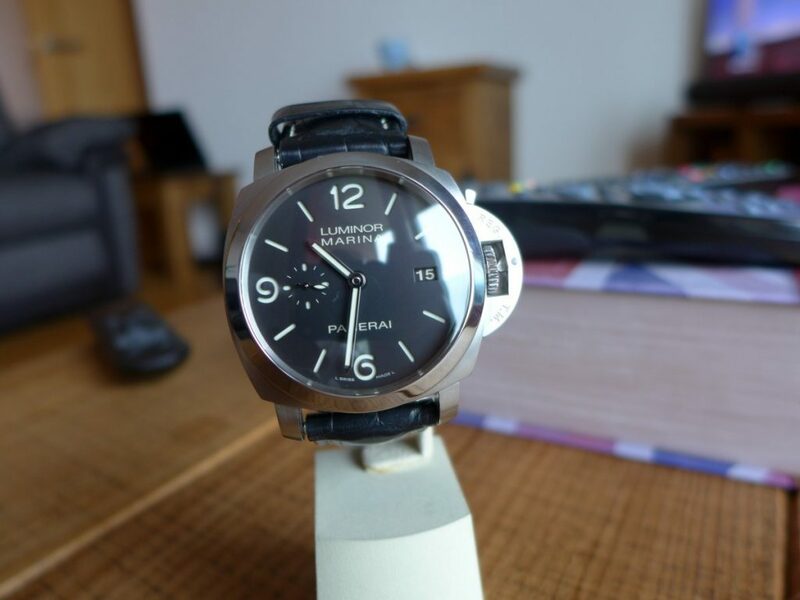 The Panerai is not the smallest watch but overall a great piece and no doubt will end up with one again or similar sometime in the future.